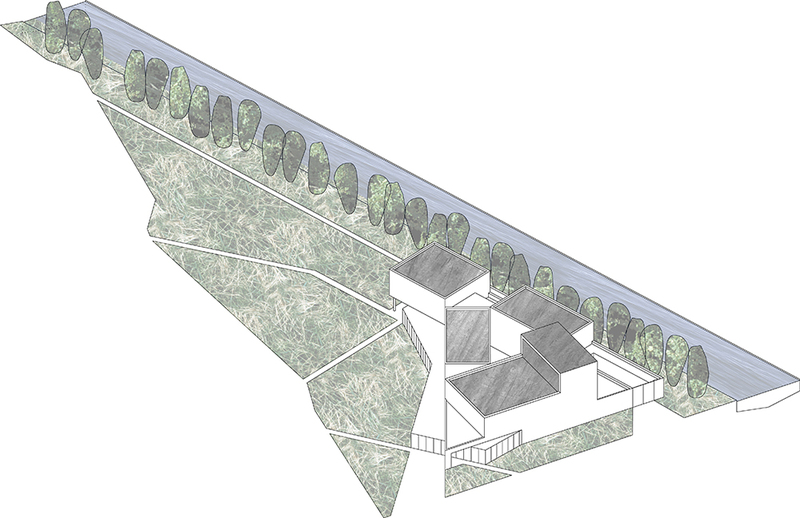 We propose a long tree-lined avenue to bring order and coherence to O Connell Street. 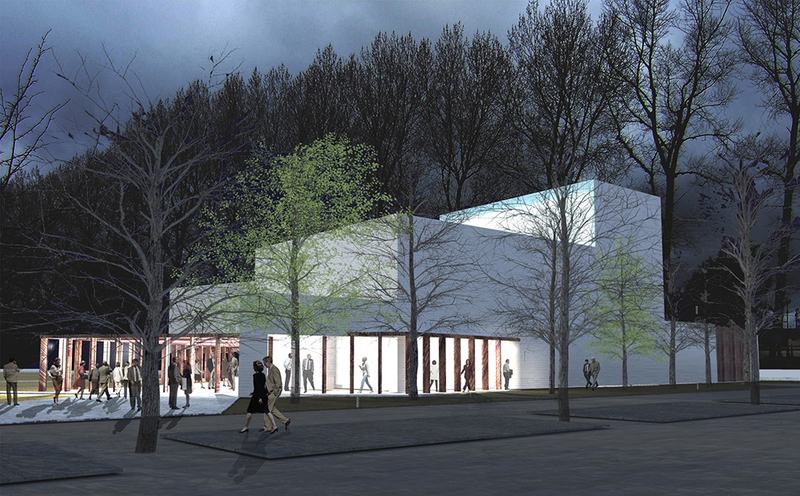 Cars will park discretely between the trees and the evening stroller and theatre-goer alike will participate in the urban promenade leading to the arts centre, park and canal beyond. The building is wedged into the corner of Kilbride Park adjacent to the canal walkway; it is a fulcrum about which the domains of town, park and canal intersect. The hard paved foyer space reads as part of the park, fully glazed with hardwood columns, the plan is relaxed and loose, allowing the space to be used and configured in many ways. Above all it is an accessible and public space. The main entrance is at the town end, accessed off the tree lined boulevard, while the café is adjacent to the canal path. It also has outdoor seating extending out to a covered terrace in the park and overlooking the canal. New pathways are generated by the building’s geometry and extend through the park, which is otherwise simply planted with grass, spring bulbs and small groupings of trees. 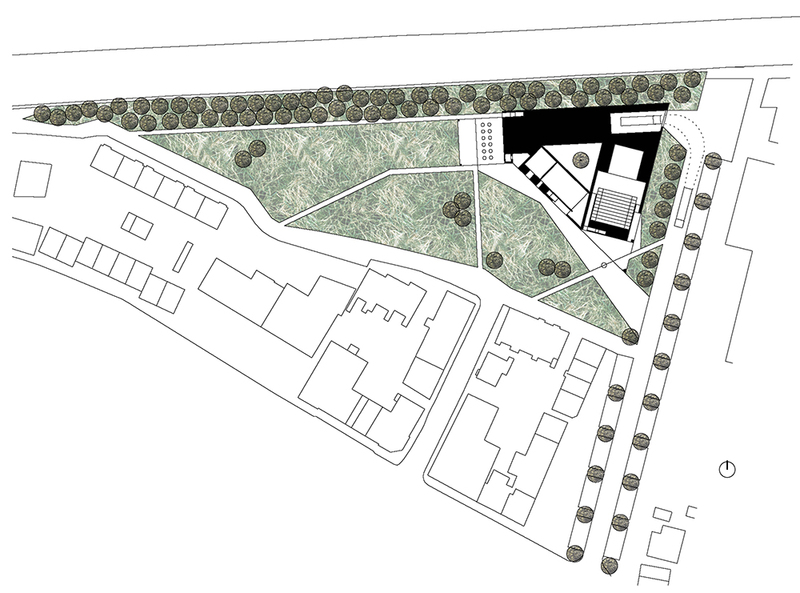 The building footprint takes up the wedge shaped space at the corner of the park. 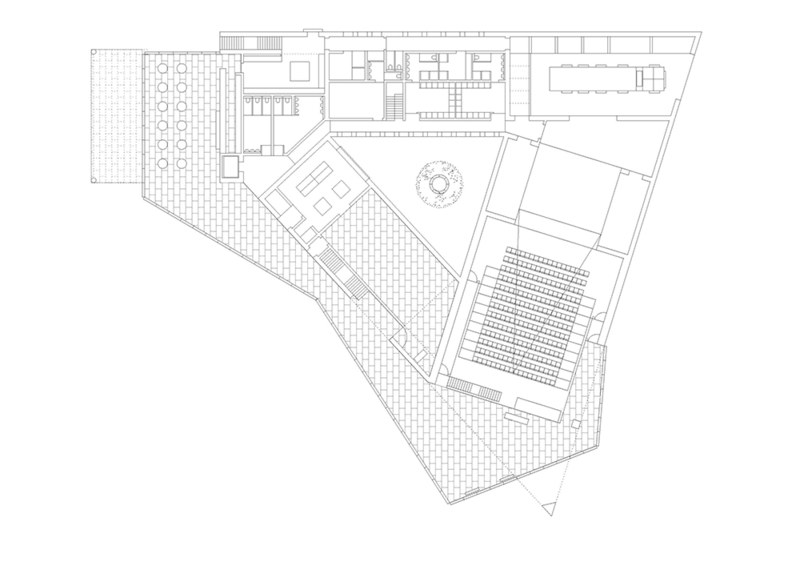 The 3 main culture spaces sit in this matrix as discrete volumes or boxes, composed around a triangular courtyard for staff and performers. A fourth volume contains the back of house spaces. The public concourse is wrapped around these volumes and both addresses the park and forms an extension to the public route from town to park.